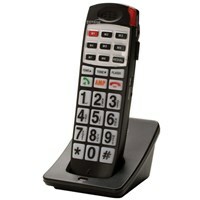 We carry a variety of talking telephones, available in both cordless talking telephones and corded options. 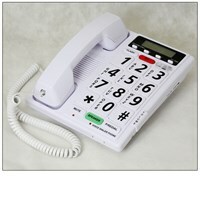 Our selection of talking phones is perfect for anyone who is hard of hearing or has low vision, who wants to enjoy a loud, clear call and hear the numbers being dialed. Our talking telephone selection has something for everyone, including talking phones with Talking Caller ID feature or phones with a large screen and high contrast display. Talking phones with talking keypads eliminates frustrating mis-dials and some models even have a talking phonebook for a highly convenient way to call whoever you desire. 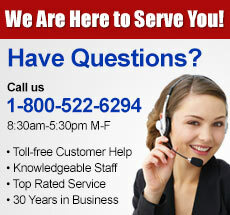 Use Your Voice to Make, Answer & End Phone Calls! 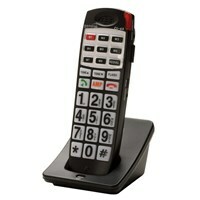 Talking telephones are ideal for hearing loss and low vision. Amplify incoming sounds with quality sound adjustable volume. With talk back buttons, Braille dial pad buttons, hearing aid compatibility, wrist shaker call alert, and more, these talking telephones provide features for your individual hearing loss and low vision needs.